Thank y'all for a great time at NAMTA in San Antonio! For those who came by our booth to see all of our 315 new items this year, thank you! We know it's a lot to absorb, and you may have seen another booth or two as well, so we've put together a recap of what the NAMTA specials are and digital versions of the product sell sheets that were in our binder at the show. The biggest responses were of course to the Year Of Rembrandt campaign, with it's over-the-top glamour set, which had everyone ooohing and aaahing. The Rembrandt Soft Pastel Micro Sets had everyone thinking of candy and make-up packaging, but more importantly, understanding that this type of thinking is what will help lift the pastel category to a new level, helping drive open stock sales and introducing the product to a younger audience. 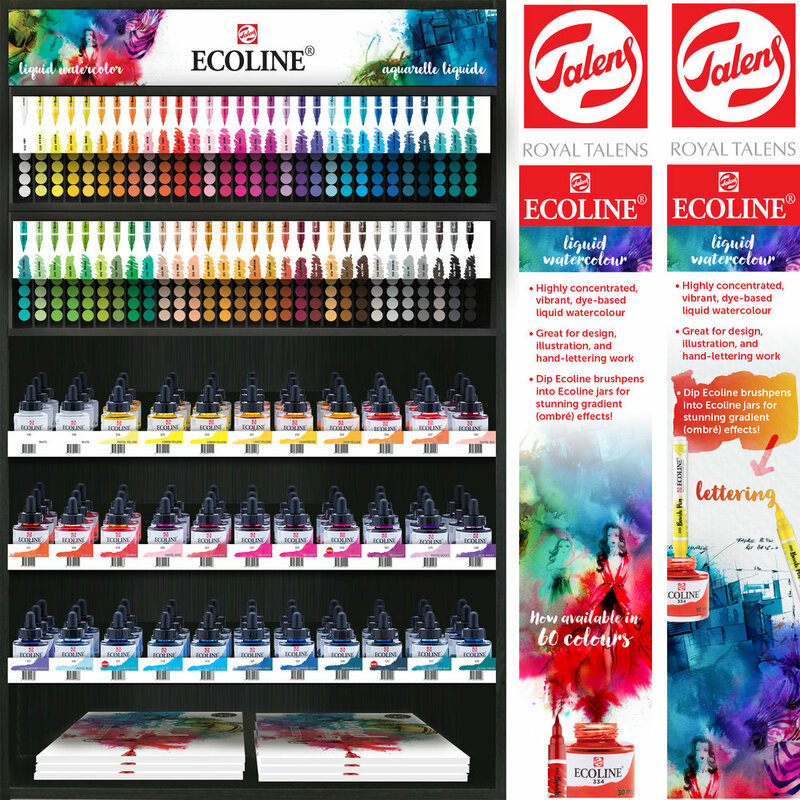 Having added branded paper assortments to support the sales of our color products seems to have hit the mark as a rational extension of our products, particularly both the Black Watercolor Paper and the Sketch Book and Journal section of the Talens Art Creation range. Van Gogh got a lot of attention with the extension of the watercolor line with new, exotic pigments bringing the line to 72 colors. Check out the amazing artwork done by our newest Ambassador, Vic Hollins at the booth. 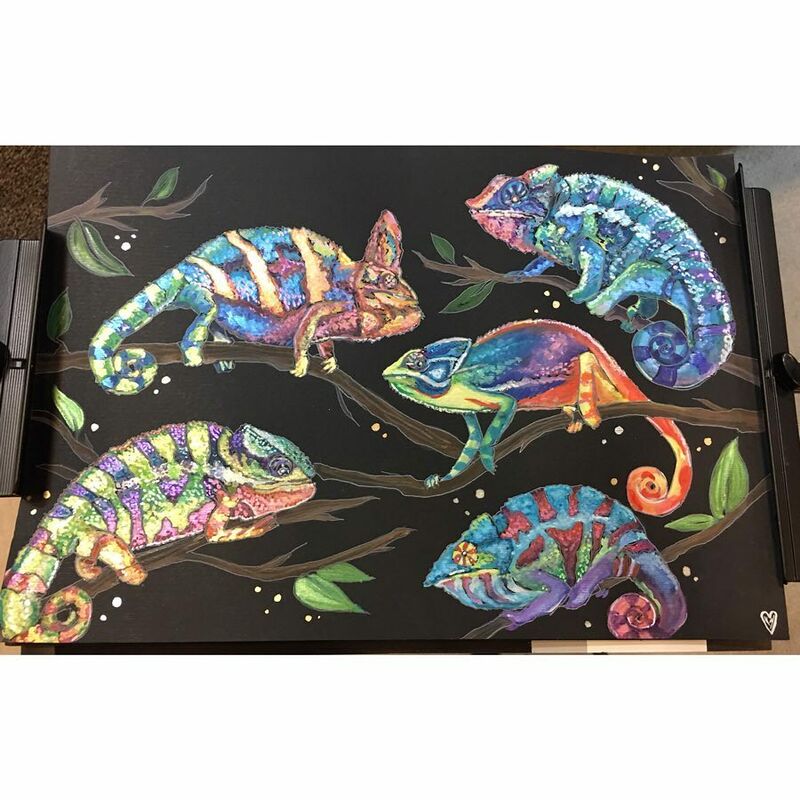 She was really able to capture what can be done with these new pigments and particularly on the Van Gogh Black Watercolor Paper. Our Hybrid Ecoline display helped answer the question of how to merchandise the Liquid Watercolor Jars with our Brush Pens to show how these two are used together, particularly in hand-lettering. What we hope to achieve at these shows, aside from inviting you to see what's new, is to have a deeper discussion with you on best practices in business and sharing with you what we're seeing in the industry. We care deeply about the entire industry, the retailers, our fellow vendors (most of them) and the artists that we all serve. We hope that your expectations were met and that you left the Royal Talens booth encouraged, inspired and perhaps more informed than when you walked in. Drop us a note to tell us how we're doing, we love hearing feedback, positive and also constructive - it's how we all improve.